The rental industry is filled with stories of legal disputes, some of which are resolved quietly, whereas some make it to the headlines. As a landlord, you will inevitably have disagreements and conflicts with your tenants based on a variety of issues. Whether this is about rent or a violation of the rental or lease agreement, the problem has to be sorted out, and at times, an intervention of the court is required. This is usually not the preferable method, and most landlords do not prefer it, but there are instances, when there are no other alternatives. If this is the case, how can you handle the situation and get the verdict in your favor? Most of landlord-tenant issues are dealt with in a small claims court so that a solution can be achieved in a speedy and inexpensive manner. Usually, landlords represent themselves and this is a good choice because if you hire a lawyer, you will end up paying legal fees. In terms of the final decisions, depending on how well you represent yourself, you can either get the tenant evicted or get yourself sued. 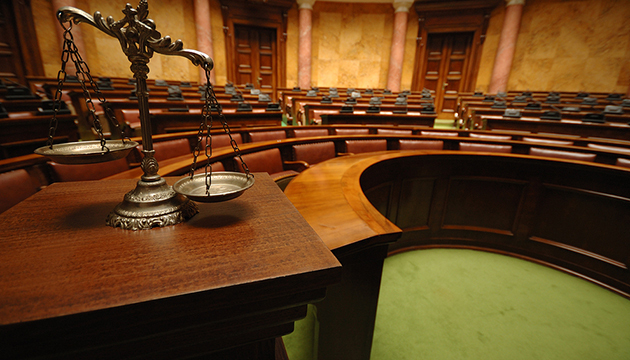 Decide the court you want to use, file your lawsuit and pay the associated fees. Prepare your presentation well and research all possible evidences. Your manners are very important wherever you are and that is especially true for a small claims court. Present yourself well and the judges will realize you have come prepared, and the first impression you create will be good. Arrive at least 15 minutes before the actual time that you are given. In case, you are late and the judge calls out your case, it will either be dismissed or you will be given a default judgment in case you are the defendant. Moreover, reaching the court early gives you enough time to relax and control your nerves. Needless to say, your apparel should be appropriate. Many a times, people fail to create an impression and do not win the judge’s decision only because they are dressed improperly. It is not that you should wear a suit or something, but you should still be dressed professionally. Jeans, head wears and skirts that are too short will not do. The clerk of a smalls claims court calls every case. When yours is announced, stand up and state that you are present in a clear and audible voice. Proceed to the judge while announcing that you are going towards the bench. Now introduce yourself, mention whether you are the plaintiff or the defendant. All along, keep the following points in mind. Address the judge by ‘Your Honor’; there is no exception to this. Speak in a voice that is clear, and make sure you do not rush with your words. Both sides state their case, but the plaintiff is always given the first opportunity. If you are the defendant, wait to narrate your story until the other party is finished. Never talk to your opponent; whatever you want to say, address the judge and no one else. Make sure you do not interrupt anyone else. Give everyone time for their say, and start with yours when you are given the chance. In case you are interrupted, remain quite until the interrupter. Do not get annoyed or anything because he just lost a point with the judge. Whenever you are asked a question, give an appropriate answer after thinking it through for a couple of seconds. Do this in a manner that it puts you in a favorable position. If you are not sure of any answer, let the judges know this rather than making something up on your own. The judges are extremely good at catching lies, and never underestimate their skills in this regard. Have your evidences with you along with copies of each document. Hand the original to your judges and the copies to you opponents. You should also keep a set with you. In most cases, the judges announce the verdict after the hearing and additional time is not usually required. Should the plaintiff win, the defendant has to pay a certain amount along with court fees. You can also file another hearing request or appeal at the country court level if you are not satisfied. Landlords representing themselves in small claims court will often be the most cost effective legal remedy for many issues in the dollar amounts landlord frequently have disagreements with tenants over – such as unpaid rent or security deposits. However it’s very important that you follow the correct courtroom etiquette and procedures if you are a landlord trying to recover damages from your tenants to get the results you need with a full small claims court judgement in your favor.